Although, I do already have two of them. Well, three, counting my husband. Geez…four, if you count my dog (who incidentally can be more mature at times than all three of the aforementioned boys). No. 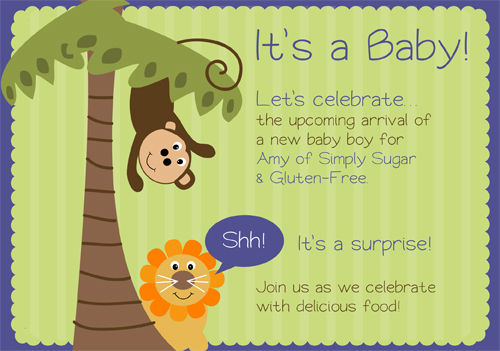 This little boy I am talking about is Amy’s, of Simply Sugar and Gluten Free. Her little bambino is set to arrive any second. Literally. And today we are throwing her a SURPRISE virtual baby shower since we cannot give her one in person. 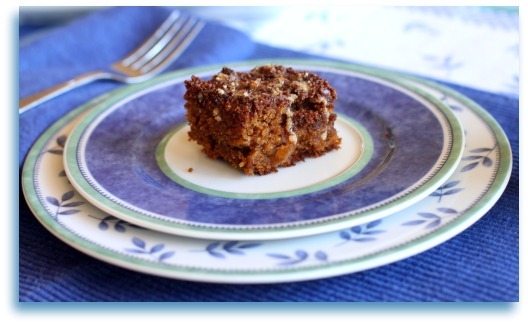 And I am making these Gluten-Free, Dairy-Free, Refined Sugar-Free Apple Streusel Squares with an amazing Maple Cinnamon Glaze in honor of the event. These little bite-sized gems are such a treat, with a healthier twist (they lasted all about two seconds in my house). And can so easily be made safe for multiple types of modified diets. Definitely a perfect addition to a baby shower. Oh. I am not sure if I mentioned this yet. But, this may be a good time to tell you that these treats are totally and completely addicting. Consider yourself warned. If you have no will power, you may not want to make these. Okay. 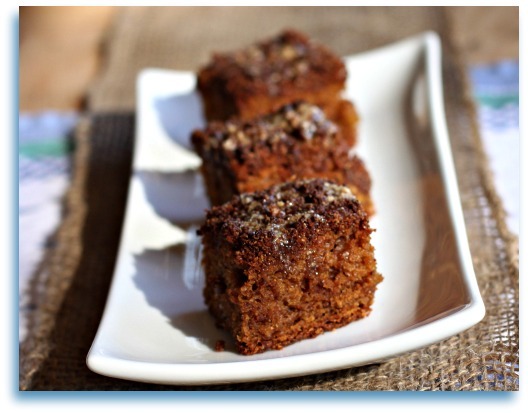 Now for these Apple Streusel Squares. But like I said. If you have no self-control or will power…I will repeat what I said above. Do. Not. Make. These. 1. Preheat oven to 350 degrees. Grease an 8 x 8 inch square pan. Toss together Apples, Coconut Sugar, and Cinnamon. Set aside. 2. In a medium bowl, whisk together until airy: Superfine Brown Rice Flour, Millet or Almond Flour, Arrowroot Starch, Baking Powder, Baking Soda, Xanthan Gum, and Sea Salt. 3. In bowl of stand mixer, add: Oil and Coconut Sugar. Beat on medium-high for 1 minute. Add egg (or Egg-replacer) and vanilla. Stop to scrape down sides. 4. Add half of the flour mixture, then all of the apple cider, then the rest of the flour mixture and mix until just blended. 5. Mix together all streusel ingredients until mixture is crumbly. This may make more than you need or want to use. Reserve any extra for another use. 6. Spread half of batter in prepared pan with a spatula. Place prepared apples evenly on batter. Then top apples with remaining half of batter. Sprinkle Streusel topping over top of batter. Bake for 40 minutes, or until toothpick comes out clean. Let cool. Once totally cooled, you can drizzle with glaze (directions below), or if not using glaze, simply cut into into bars. For Glaze: Whisk together all Glaze ingredients until smooth and thoroughly combined. Drizzle over cooled bars. 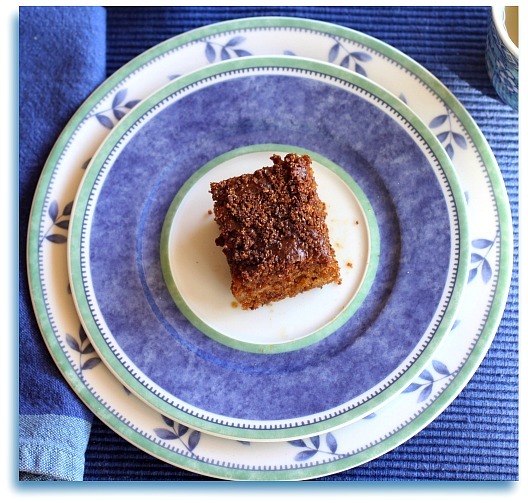 This post is being shared with Simply Sugar and Gluten’s Free Slightly Indulgent Tuesday. Another yummy recipe and a smile when you talk about the men in your life. The theme this week for the Gluten-Free Menu Swap is cinnamon, so your timing is perfect for the virtual baby shower and for my menu. Wendy, I am glad you enjoy hearing about those goofy boys in my life. 🙂 Love the cinnamon theme of your menu swap. I can literally find a way to add cinnamon to anything! OMG wow. I have no will power, and might have to make these anyway. They look so delish. Amy would love them. Kim these bars sound fantastic! Amy is going to love them. If we can manage to save her some, that is. She better hurry up! 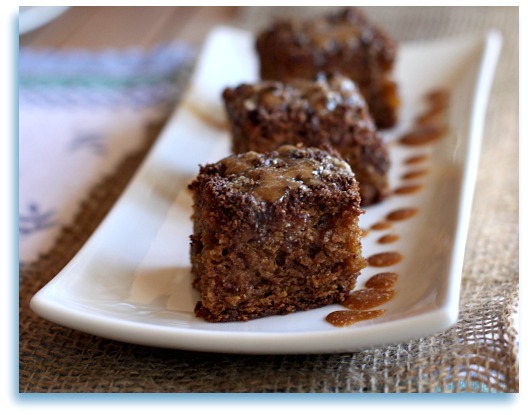 We are sure going to love your Apple Streusel Squares at the shower today, they look delicious! This is a great recipe that I know Amy will love and so do I. It has been fun cooking with you for Amy’s Baby Shower. What a lovely and perfect shower treat to bring! While I love this whole virtual shower thing, wouldn’t it be so nice to all be in the same room, eating and chatting? I have the exact same number of boys – 2 sons, a hubby and a male dog Jake (sound familiar?) We know about boys don’t we? Kim….wow! Thank you, thank you, thank you! I am so grateful and completely overwhelmed with all you’ve done to make the arrival of our little guy so special. I am so very lucky to have you as a friend. Your support has meant so much. I’m new to GF baking and have two questions. 1) can I replace xanthan gum with something else? 2) can millet flour be used to replace almond flour in other recipes calling for 1 cup of almond flour? Hi Mallory. Sorry I am just getting to this but have been out of town on a family vacation. The xanthan gum can be replaced with a chia slurry for this recipe (mix 1 Tbsp ground chia seeds with 2-3 Tbsp hot water and allow to gel). And the millet flour can definitely be replaced for an equal amount of almond flour in most recipes usually. They are very similar in weight which allows for a decent substitution between the two. Hope this helps! Wow! looks so good! I am thinking sunday brunch! TFS! Oh my Kim…these looks to die for!! pinning for trying! Glad to see a new post! I have no willpower but I am making these anyway! I LOVE it when you make me, I mean Amy, I mean your readers, recipes like this. Yum. It’s so fun to read everyone’s posts tonight. We rocked it! What a perfect treat at a shower or a Sunday brunch! These look incredible! Sound so good! Definitely not able to stop at one! You just may have more will power than I do, IntolerantChef! 🙂 I am not good about stopping at just one for a lot of treats! These are jumping off the page and calling out my name!!! Yum!!! What a wonderful recipe and perfect for the occasion. Healthy and delicious…can’t think of anything better! These are all my favorite flavors mixed into one treat – I seriously can’t wait to make them! These look awesome!!! I want to make some. Love your site. I am curious about some of the cakes and cinnamon rolls. How long do they keep and should they be kept on the counter, fridge or freezer. Not for long term storage but a few days I sometimes find that gluten free gets moist quicker than non gluten free goodies.